Yesterday I asked the good people of Big Footy for the next versus match-up, and the response to the thread has so far been good, with some interesting prospects lined up. The first one I want to look at was suggested by Chefmeister (who actually suggested quite a few good fights). It’s a battle of the villains – Lord Vader, Sith Lord and right hand of the Emperor, against Magento, a dangerous mutant terrorist, bent on elevating mutantkind (even if it means destroying humanity). Once again, I’ll be using film interpretations only for this comparison. With Vader, I’ll obviously be using the Star Wars movies, and for Magneto, the recent X-Men films. Often Vader is seen as the daddy of all villains. 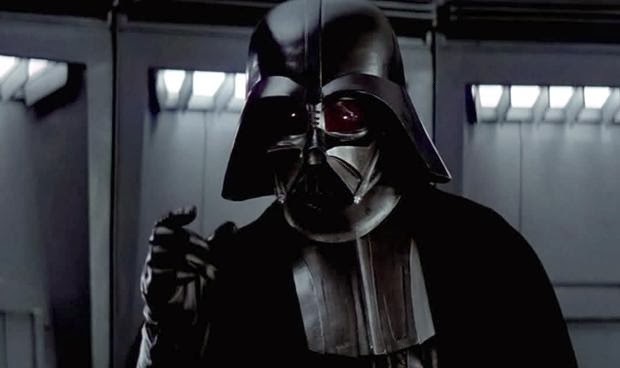 Cold, ruthless, prepared to make examples of anyone who fails him, Vader is merciless. His abilities as a Sith make him capable of precognition, grant him reaction times well beyond that of the average human, and he is armed with possibly the coolest weapon ever conceived – the lightsaber (which can deflect energy bolts and cut through just about anything). That said, Vader is not without his vulnerabilities. His very life is dependent upon the mechanical suit that gives him such an imposing appearance – without it, he would die. Additionally, the suit means he can’t move with the grace of a Jedi, as he once did when he was Anakin Skywalker. Nor is he as fast. Another uncompromising villain, Magneto fancies himself as a freedom fighter, and to be fair, he is interested in helping mutantkind, but it has to be on his terms (to the degree where even other mutants who oppose his methods earn his wrath). Magneto looks down upon humanity, and in doing so makes it easy to justify hating them. His powers are quite something. He can stop dozens of bullets simultainously, stretch and bend and flatten metal effortlessly, steer aircraft down to land, even quite literally move bridges. On the face of it, his powers far exceed Vader’s. This is a tough one. Vader’s suit is going to have metal components and Magneto could cause havoc for him. Additionally, depending on where this battle takes place, any other metal objects will immediately become weapons for Magneto to exploit. However, Vader has precognition, and the Force. 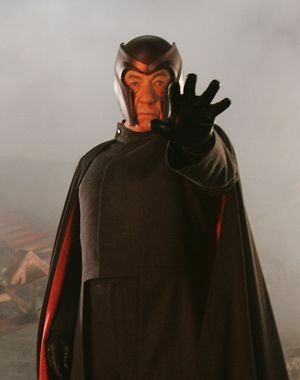 If Vader senses Magneto coming, he can use the Force to hurl any objects straight back at Magneto (we could find ourselves watching them throw items back and forth at each other using their respective powers). More importantly, Vader could use the Force to strangle Magneto at a distance. A lot of this comes down to whether Vader can dispatch Magneto quickly. If he sees Magneto coming, or is prepared, and goes straight for the Force choke, he can end this fight quickly. If however, he doesn’t take care of Magneto at the first opportunity, then things get more difficult. Magneto might well use his own powers to twist, break or crush any metal components within Vader’s suit (he could cause Vader all kinds of pain with that), or chuck any and all nearby metal objects at Vader. He could even throw Vader himself. I guess it depends how arrogant Vader decides to be. If he is overconfident in his powers, he might give Magneto a sniff of a chance. If he wants to end the fight quickly, he can do so quickly, and my gut tells me Vader wins (at least, most of the time he wins).